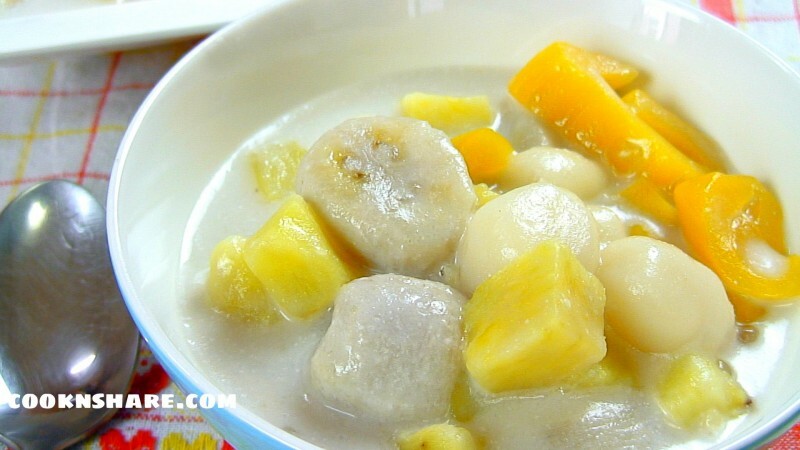 Ginataang Bilo-Bilo is sometimes referred to as Ginataang Halo-Halo. The term Bilo-Bilo means a round shape. In English, ginataan is something cooked with coconut milk. Basically, the process of making this dessert is making the bilo bilo or the rice balls, first and then cooking them in coconut milk. The ingredients you use will also affect the color of the food. If you are use purple yam, there is a tendency for the soup to turn to a purple color. In this recipe, we only use sweet potatoes. So, you’ll notice the color is orange. 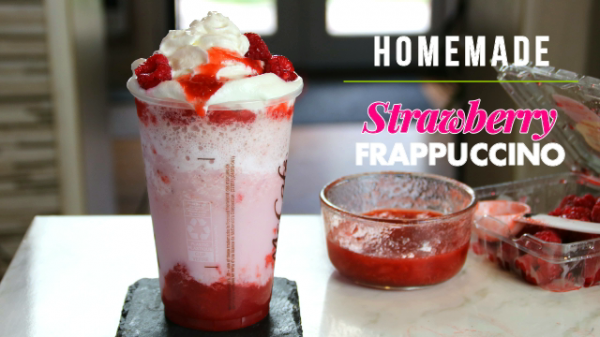 The recipe is sweet and sits heavy in your stomach. But it, nevertheless, makes an excellent snack or dessert. In mixing bowl add the glutinous rice flour and half a cup of water. Mix using a spatula until the mixture is well blended and dough like. Scoop up about 1/2 tbsp of the mixture. Using the palm of your hand, make a small round rice ball. Set it aside. Add the coconut milk, water, and sugar to a pot, stir and bring it to a boil. Add the ube (optional) and sweet potato. Simmer over medium heat until they are slightly tender approximately 5 minutes stirring occasionally. Add the rice balls one at a time. Stir and simmer for 8 minutes or until the rice balls are cooked. Lastly, add the jack fruit, bananas, and cooked sago. Simmer for additional 3 minutes. (If your using raw sago, you can put them in advance to cook).